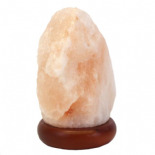 Himalayan Salt Lamps are a wonderful innovation for keeping your air clean, and allergies under control! Pollen, dust, dirt, pollutants, and any other junk in the air all carry a positive charge, which keeps them suspended in the air. 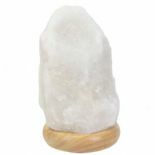 The negative ions released from a lit Himalayan Salt Lamp negate the positive charge of air contaminants, and the neutralized ions fall to the ground. Many air purifiers and water filters harness this effective negative ion technology, and it’s really nothing new. It’s just that most of us don’t know about it!